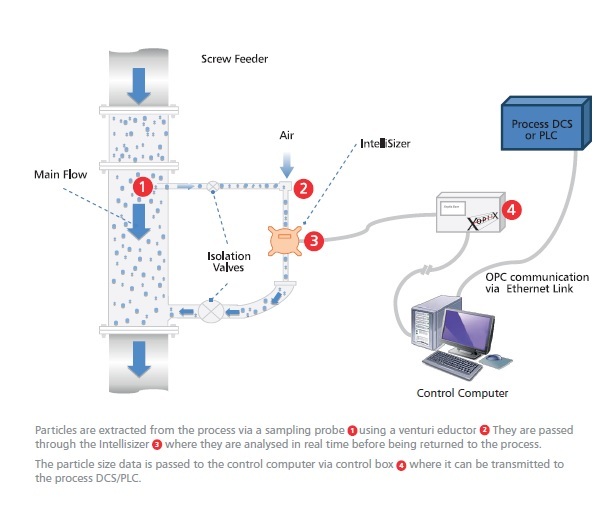 The new Intellisizer from Xoptix redefines the quality, design and flexibility for In-process Particle sizing. Quite simply, the best system available on the market at any price, the Xoptix Intellisizer delivers. • Real time results allowing closed loop control. • Wide range of sampling options, extending the capabilities to new applications. The Intellisizer acts as the eyes of the milling process. At the core of the Intellisizer, is a quality laser diffraction instrument, built to withstand the challenges of process environments (IP66). We use high stability lasers, the best optics, and the highest specification custom designed detectors and put it all inside a precision optical bench. This simple step alone, has given us stability not possible with any other system on the market. Add to that, carefully designed kinematic optical mounts, the latest electronics, intelligent self maintaining software and an IP65 rated enclosure, and you have a genuine industrial first. When powders are milled to a specific fineness, a degree of insurance over-grinding usually takes place in order to be sure the product is within specification. This costs money, but is an insurance against under-grinding in a process which is only monitored by lab measurement every 2 hours. 2 hours is a long time in a production process, and if an event occurs, tens of thousands of pounds (or more) of product may be lost, or need re-working. The Intellisizer measures the complete particle size distribution 2000 times per second producing real time data of the state of the process. By feeding this data to the PLC or DCS and automating the control of the separator such that in-spec product is produced all the time, the energy expended in insurance over grinding is thus eliminated. An added advantage is that the residence time of the product in the mill is reduced, such that throughput can be significantly increased. 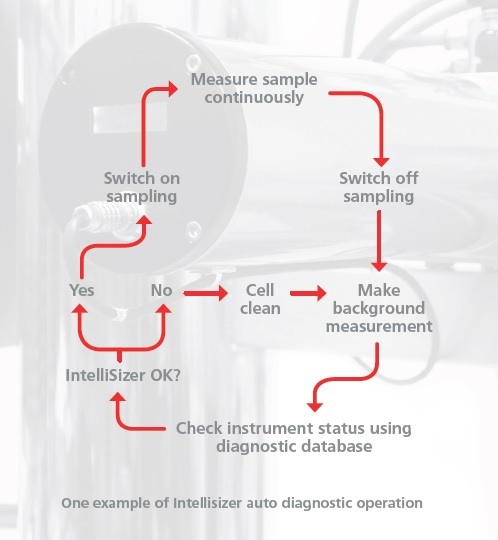 The unique automated cell clean technology in the Intellisizer is the heart of the patented self monitoring, self diagnosing and self cleaning technology which has been designed to keep the instrument operating at optimum performance when all other instruments would fail. This ensures maximum uptime, and hence the most reliable control of your process. In the unlikely event that the instrument is no longer measuring correctly, it will tell you, thus taking the guesswork out of any diagnosis. This technology is not available anywhere else and is unique in the Xoptix IntelliSizer range. In addition, to maximise production uptime, the Intellisizer has ceramic components where required to increase durability and minimise long term maintenance. The lifetime of components exposed to abrasive particles is measured in years. Output is available to the users requirements, from 4-20ma current loop outputs to ethernet communication with the control DCS or PLC using industry standard OPC UA protocol. For more information about the new IntelliSizer call the team at Xoptix on +44 1684 899345 or email mail@xoptix.co.uk.